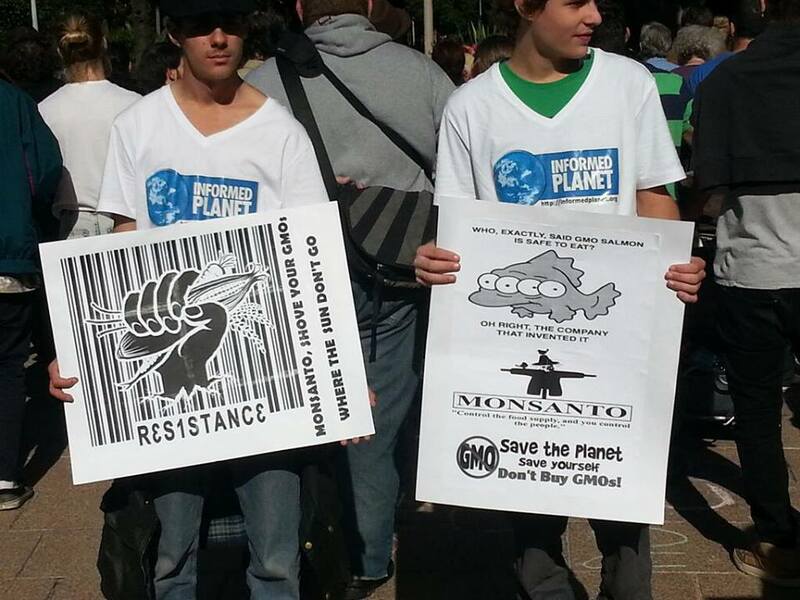 Thousands of activists across the globe are expected to ‘March Against Monsanto’ today. Besides the U.S., which will be the main theatre of action for this event, marches are being planned in over 30 other countries in different parts of the world. This movement was the brainchild of Tami Monroe Canal, who says she just wanted to do something to protect her two daughters. “I feel Monsanto is threatening this generation’s health, fertility and longevity. I couldn’t sit idly, waiting for someone to do something.” And so this bold woman created the idea of ‘March Against Monsanto’. The key reasons behind the March are: “to protect our food supply, support local farmers, spread awareness about the harmful effects of genetically modified foods, promote organic solutions, expose the cronyism between big business and the government. bring accountability to those responsible for corruption”. Promoting the ‘March Against Monsanto’, Vandana Shiva calls the “Monsanto dictatorship” a “new form of fascism” that seeks to “outlaw all diversity”. She points out that “Monsanto has become the new centre stage for the destruction of our seeds, our diversity, our food and our freedom”. Hence, she describes this March as a “march for freedom” which is “inspired by our deep love for life on earth”. Encouraging people to take up this fight, Vandana Shiva makes a passionate plea: “let us plant gardens of resistance against this new form of dictatorship”. In India, genetically modified crops have been at the centre of a bitter debate – a debate which is often connected to farmer suicides. I have just finished reading Kota Neelima’s ‘Shoes of the Dead’, a brilliant piece of investigative journalism on farmer suicides that is well crafted into a fast-paced engrossing novel. While political manoeuvrings and moneylender manipulations dominate the plot, the role of GM crops as one of the ingredients of the fatal concoction causing farmer suicides is well exposed in this book. Sadly, for most us, a tragic tale like this is nothing more than ‘a good book’ – but for the farmers in India’s heartland, it’s quite ‘a different story’. If the ‘March Against Monsanto’ is happening in your city, do be there. And for those of us who don’t have the opportunity to participate, let’s at least set aside an hour to read up and educate ourselves on this dastardly killer that is stalking our earth.